Welcome to day 2 of the Holiday Sewing Blog Tour! 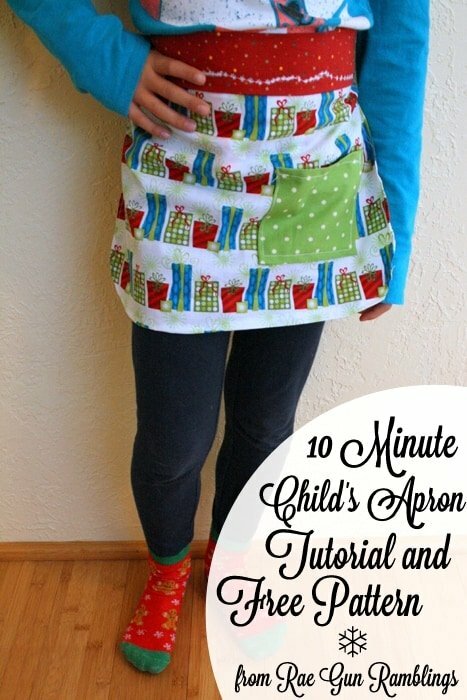 Today’s featured project is a 10 Minute Child’s Apron Tutorial with a free pattern from Marissa over at Rae Gun Ramblings. Click over to check out her apron tutorial and be sure to say hi! Very Cute …. especially in the Christmas Material.